As a young child, Polish-born guitarist/composer Rafal Sarnecki suffered from an intense fear of heights and watched with envy as other kids climbed trees. 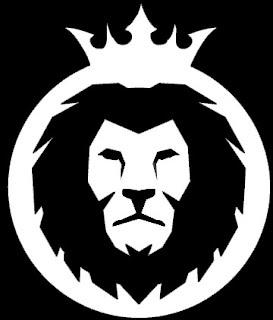 Eventually he gathered the courage to face his fears, ascending branch by branch until he reached the top. That early triumph was the first of several fears that Sarnecki has faced down throughout his life, some of them directly impinging on his passion for music - stage fright, most pointedly, but also a more nebulous trepidation about pushing his music into ever more challenging territory. On his latest album, Climbing Trees, Sarnecki celebrates the ability to overcome one's most deep-seated anxieties and the exhilaration that can come from those confrontations. "Once I challenged myself to climb to the top of one tree I felt an urge to climb a higher tree," Sarnecki recalls. "The satisfaction from fighting the fear was very strong and addictive. This memory from childhood resembles many situations in my adult life." 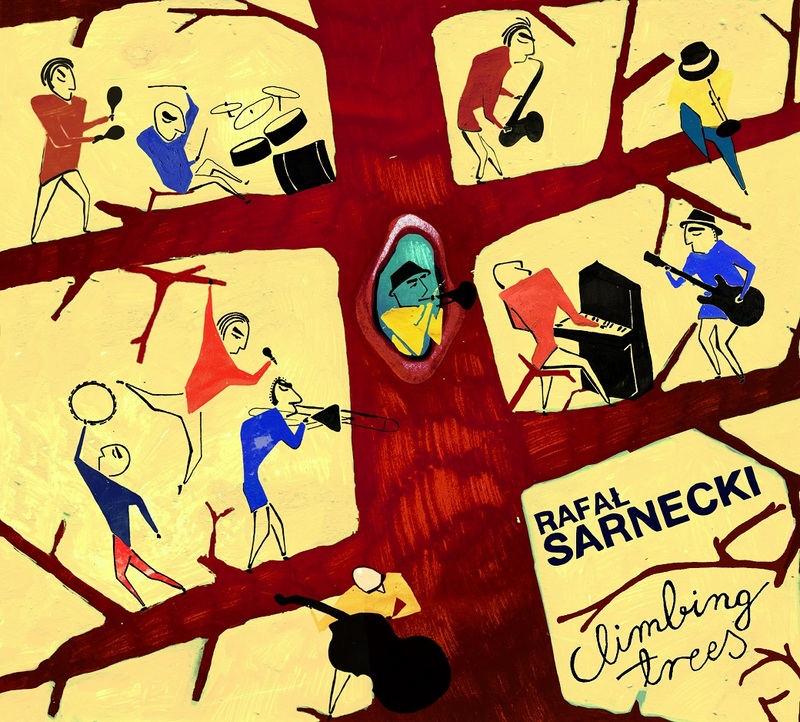 On Climbing Trees (due out July 27, 2018 via Outside In Music), Sarnecki takes his cue from that formative experience, crafting a set of risk-taking original compositions that dare him and his remarkable sextet to scale daunting heights. The stellar group - saxophonist Lucas Pino, vocalist Bogna Kicinska, pianist Glenn Zaleski, bassist Rick Rosato, and drummer Colin Stranhan - not only manages to deftly navigate the composition's knotty turns but finds exhilarating inspiration in its surprising branchings. The result is music that combines attentive focus on fine detail with the euphoria of an adrenaline rush. What's clear from the chemistry and complexity displayed by the sextet is that this is a true working band, a relative rarity on the modern jazz landscape. In its present form the band has played together for nearly seven years, though many of the relationships stretch back even further. Pino and Zaleski have been a part of Sarnecki's band for the better part of a decade; Rosato and Stranahan joined the band in 2011. 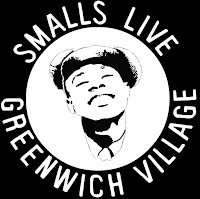 Since 2009 the guitarist and Zaleski have been members of Pino's acclaimed No Net Nonet, enjoying a monthly residency at Smalls Jazz Club for the past five years. The sextet originally featured a trumpet as part of the frontline, until Sarnecki acceded to a Brooklyn club owner's request to add a singer to the band. Rather than hiring a standards-crooning chanteuse, Sarnecki enlisted Kicinska - a fellow native of Poland who uses her versatile voice and gift for improvisation like an instrumentalist. The addition gave the band's sound an ethereal but urgent quality, and the line-up fell into place. "It took me a few years to learn how to take advantage of the potential of the musicians," Sarnecki says. "I have absolutely incredible players in my group that do things that are very unique, so as a composer I feel a responsibility to feature their individuality in my music. That can be a little risky, because sometimes I can push it a little too hard, but fortunately, we're a working band so I don't have to be afraid of that. This allows me to come up with ideas that sound really surprising, not the same as every other modern jazz song." Zaleski's foreboding chords open the album on "Solar Eclipse," which contrasts Kicinska's airy vocal line with Sarnecki's gnarled lines. The leader's probing solo is a standout, exploring every hidden corner and skewed angle of the tune. The title comes not from the recent astronomical phenomenon but from the unusual way the piece was composed: it originated with a particularly tricky bass line, which eventually was dropped as the tune progressed, essentially eclipsing what was once the core idea of the piece. The growling lurch of "Dadaism" doesn't immediately suggest the subversive art movement that gives the piece its title, but it comes from a time when Sarnecki was studying Dada while working on his PhD in Music Composition at the Fryderyk Chopin Music University in Warsaw. Pino and Kicinska take a tandem soar into their upper registers, launching Zaleski into an intricately focused turn. The heartfelt "Write a Letter to Yourself" was inspired by a friend's self-directed missive on Facebook, while "Disappointing Fresh Peach" takes its title from an anecdote in Kenny Werner's influential book Effortless Mastery. The dizzying "Hydrodynamics" is highlighted by a taut tug-of-war between Sarnecki and Stranahan, while closing track "Homo Sapiens" straddles the line between meditative jazz and chamber music, with Pino and Rosato steering through winding curves in perfect synchronicity. 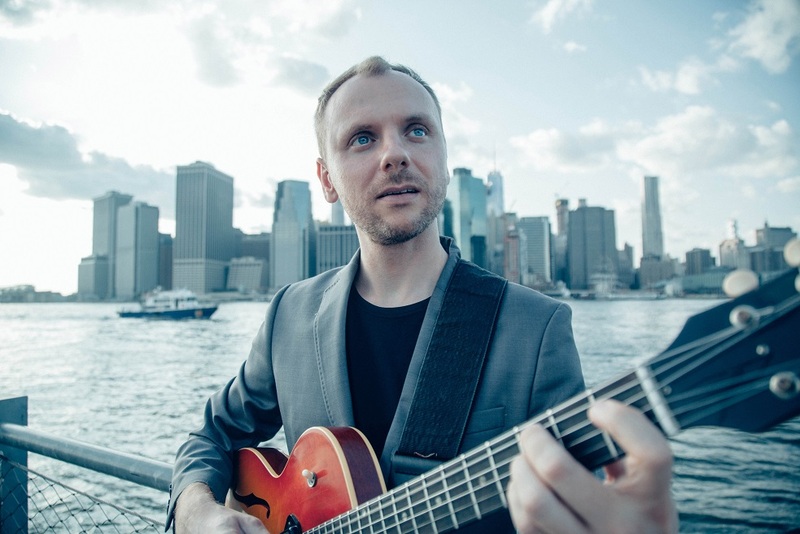 Originally from Warsaw, Poland, Rafal Sarnecki is a jazz guitarist and composer currently living in New York. As a leader of his own projects Rafa_ has toured China, Malaysia, South Korea, Chile, Israel, the East and West Coasts of the U.S. and many European countries. He has shared the stage with top musicians from the U.S. jazz scene including Joel Frahm, Ben Wendel, Ron Blake, Ingrid Jensen, Alex Sipiagin, Willie Jones III and Gary Thomas, to name a few. Rafa_'s debut album, Song From a New Place (2008), was nominated for the 2009 Fryderyk Award, the Polish equivalent of a Grammy. Rafal's second album, The Madman Rambles Again, was released in 2011 by Fresh Sound New Talent. Dave Sumner from All About Jazz selected the album as among the 12 most interesting jazz releases of 2011. 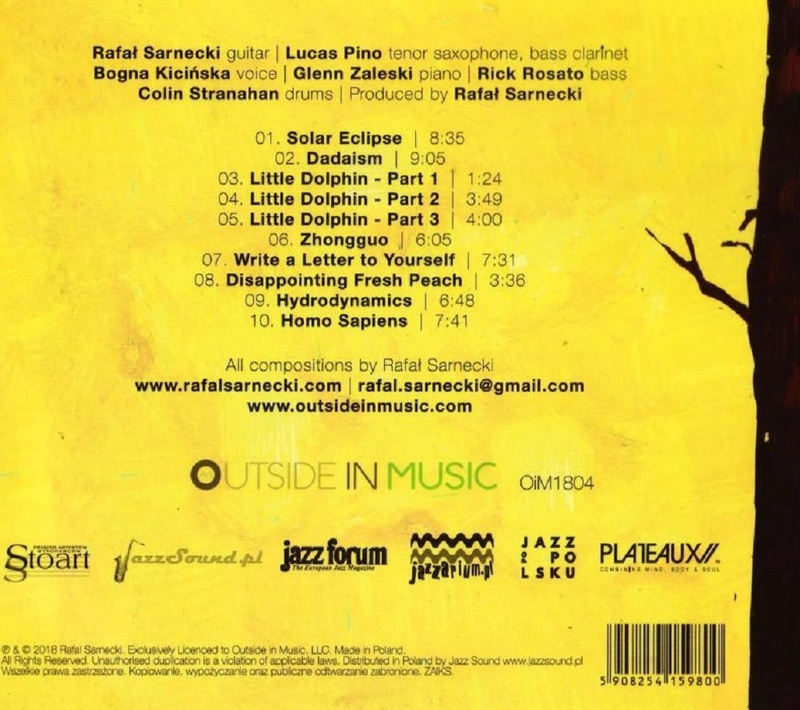 In August 2014 Rafal's third CD, Cat's Dream, was released by Brooklyn Jazz Underground Records. In 2015 a group of jazz musicians in Kyiv, Ukraine started a sextet project dedicated to his music, performing compositions from all of his albums. 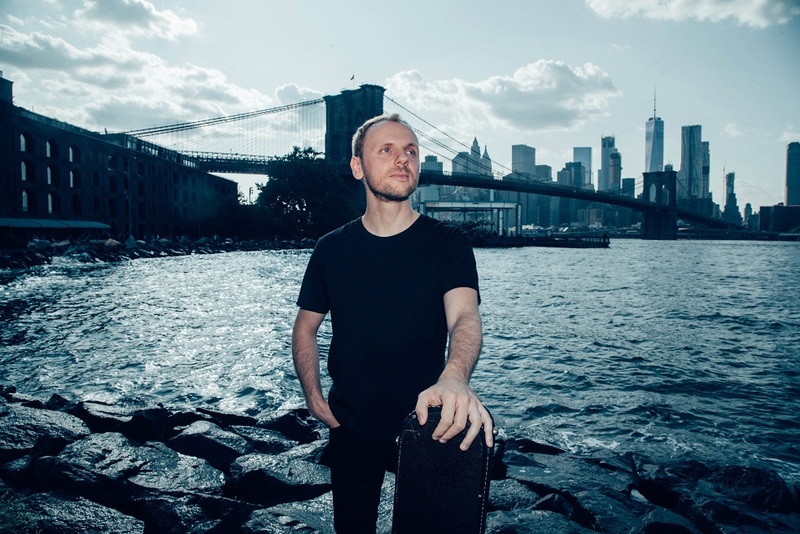 In addition to his career as a bandleader Sarnecki is performs in a variety of New York based groups and projects such as the Lucas Pino No-Net Nonet, Annie Chen Group and David Bertrand Quartet.